You must make reservations at least 5 minutes in advance of the time at Table 13-Grand Hotel Spokane. Complimentary valet parking with $25 minimum purchase when dining. Spokane’s hottest dinner spot—Designed for combining, sharing and socializing, the menu offers a variety of highly addictive dishes and small plates. A playful, thoughtful and inviting urban restaurant with an impressive wine collection and private quaint craft cocktail whiskey bar tucked just inside this popular-with-the-locals gem. Quiet and secluded dining making it a great venue to dine with friends. Heidi our waitress was wonderful!!!! Food was excellent! We stayed at the Grand Hotel and dined at Table 13. I had the halibut and it was probably the best prepared halibut I have ever had, outstanding! The serivce was good, waitress very nice. We made our reservations on line and received confirmation the day before. We were seated promptly and Ryan was an excellent server, very professional, proficient and personable. As it was our anniversary, we were treated to a dessert of our choice. The entire evening was wonderful and magical. Service very good. Food was good. Our beverages good. I would recommend Table 13 to my friends. I thoroughly enjoy my dinner. The service was top notch. What I would like to see are some additions to the tapas selection. I felt that they were rather limited to meat and sushi selections. I would love to see some hummus or other selections to pair together. It just felt rather limited in selections. Our waitress, Heidi, made my mom's birthday celebration great! We ate a salad with figs, fennel, and candied walnuts, truffle fries, Street Tacos, lamb meatballs, and my favorite, the Blackened Shrimp with grits. 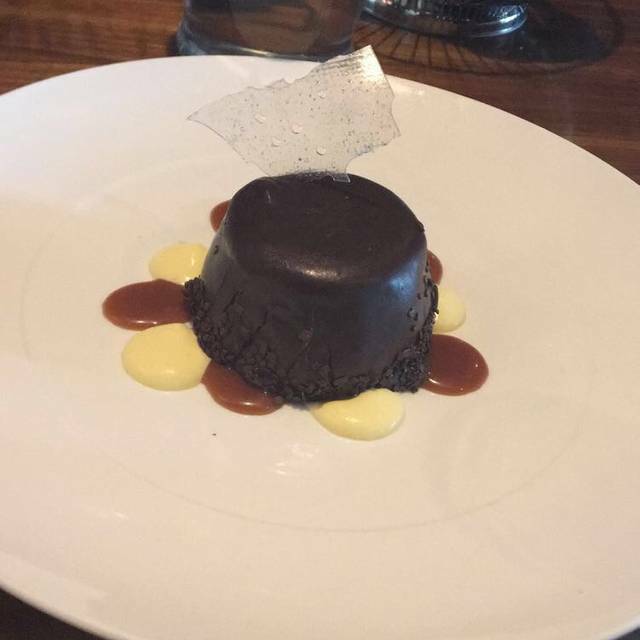 Our desert was a wonderful Chocolate Mousse Grenache with salted caramel, delicious! I will be going back again. Great service . Love the “ small plates “ . Crunchy , spicy tuna roll was delish ! For the price the food was expensive and the portions were small. What food there was tasted excellent. I had the halibut. Great dinner and our server made sure we knew what time it was so we didn't miss our show. 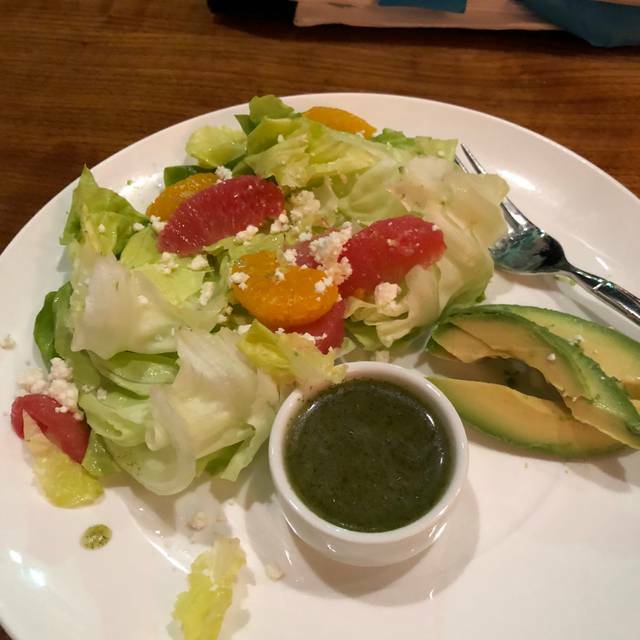 LOVE the grapefruit salad! The only flaw for our group was waiting a very long time for our drinks to arrive at our table. They were visible on the bar but not delivered for almost 15 minutes. Great service and awesome food. Everyone enjoyed themselves easy place to visit. Incredible Food. Amazing Service. We will be back. Often. I mean it. We were attending a conference at The Grand, had 1 hour to eat before we had to be back. We got there right at 515, it wasn't busy but it took 25 mins to get our drinks and even longer for our food. We had 6 mins to eat before we had to be back. Appetizers were overall very good-beef brisket tacos, shrimp cocktail and poke crisps (except won tons were stale). Our dinners were excellent-duck, halibut and salmon. Great experience overall! Table 13 is a fabulous restaurant & lounge, would highly recommed. A great, quick place to grab a bite before a show. . .
We were very happy with both the food and the service. The menu had a good variety and it was all great. We’ll be back. We came for coffee after the Natl Geo program at INB. Tony - our waiter - was very helpful, professional, and considerate. We decided to forgo coffee and cake and instead made it a late-night snack with the delicious arugula beet salad and string potatoes. We had a lovely time. Went to Table 13 before a play across the street. While the play had little to be desired, Table 13 was OUTSTANDING!! The ambiance, service, and food was very delightful. The prices are very reasonable. I highly recommend Table 13. This was my second time visiting this restaurant and it was just as good as the first time. Always impressed with anything associated with The Davenport. Food was great, service was fast, and it was a good experience. Excellent food, service and ambience. Great location for dinner, especially when seeing a show across the street. While service was a bit slow this evening, the wait staff was still very courteous and the food was delicious! 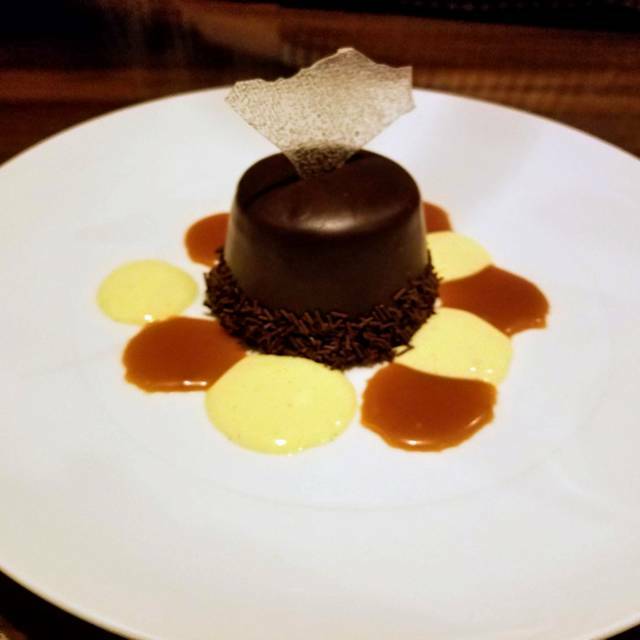 If you’re ever in the Spokane area I would definitely recommend going to table 13 as an ex executive chef I can say without a doubt that the chef and his culinary team that he has put everything together spot on. Our party of 10 are all in the the food industry and everyone had the best dining experience. Hats off to Chef Evan and his team. Hostess table was helpful. Wait staff seemed non-existent. Didn’t care at all. Very slow service. We spent the evening of our anniversary at Table 13 during Restaurant Week. The food was great and the service was as well. Had a great time! Thanks! Although it was just me, I was seated immediately at a comfortable table. I was there for the Inlander Restaurant Week. Their selection of courses in my opinion were better than some of the other restaurants for my taste. The food, drinks, and ambiance was excellent. My server was personable. Unique food, beautiful presentation & great tasting. So many restaurants have the same boring food. The food at Table 13 isn't like the food anywhere else. The staff was efficient & friendly, even though the had a very busy night. The small plates are a good amount of food for a very reasonable price ($13.00). We were there for Restaurant Week & had the Pork Chop special with an amazing glaze, haystack potatoes & grilled leeks. It was a large portion & also included a choice of an appetizer and choice of dessert. More food than I could eat for only $31.00. This is the casual dinning restaurant at the Grand Davenport. My husband and I ordered off the appetizer menu and we were both very pleased. I had the poke with a Caesar salad and both were excelled. I thought the prices were on the high side though. We had reserved a specific seating selection and arrived on time for the reservation. Manager couldn't initially find our reservation. Based on his conversation with the hostess when she returned, we found out she had given our table away to the couple ahead of us who had arrived at the hostess stand without reservations at the same time as us. We were promptly seated however at a generic table however neither the Mgr/Hostess addressed the error to us and acted like nothing had happened. Food and drinks were very good. Both rounds of drink orders were very slow to arrive and even the waiter commented on how long it was taking. While service was great our dinner entrees were not. Filet that was requested to be cooked medium was rare, and my halibut was terribly over cooked and dry. Entree salads and the Rolo dessert were excellent! Everyone at our table seemed happy with their food. My scallops were wonderful and the salad good, although the dressing was too sweet for my taste. That was the market greens salad, I believe. Best place for a date night! Tony was awesome! Loved everything we ordered and we will definitely be back! Words can’t describe the experience. If you went to heaven and had dinner this would be the best place. I been to many throughout this country. Table 13 rock the taste buds as well as the palate.